This 48 In. console-style vanity from the Gazette Collection has an alluring blend of traditional and modern influences. It features a unique lower storage shelf along with an inner storage space behind two doors and four drawers. Sheffield 48-Inch Vanity Cabinet with 24-Inch Mirror in Espresso Distinctive styling and elegant lines come together to form a complete range of modern classics in the Sheffield Bathroom Vanity collection. Inspired by well established American standards and crafted without compromise, these vanities are designed to complement any decor, from traditional to minimalist modern. Available in multiple sizes and finishes. 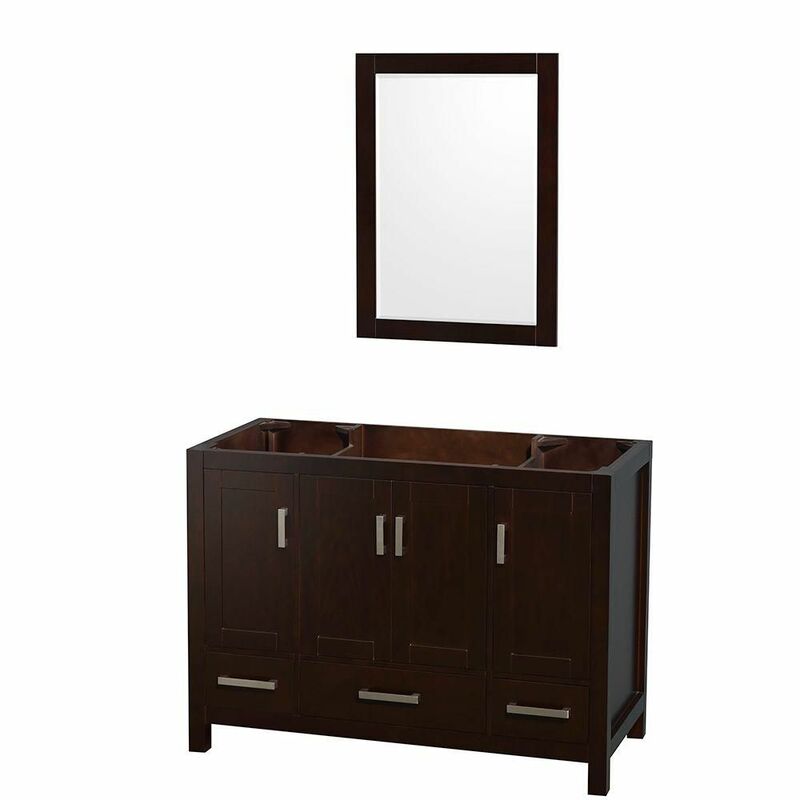 Sheffield 48-Inch Vanity Cabinet with 24-Inch Mirror in Espresso is rated 5.0 out of 5 by 1.